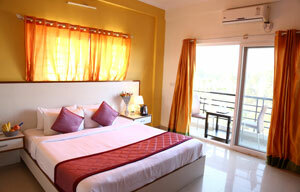 luxurious property, with 30 rooms including both Service apartments and Hotel rooms. Welcome to IT hub of India, Bangalore. Bangalore being a IT hub, has people travelling from all around the globe. So is Kempegowda international airport known third busiest airport in India. With such huge number of people travelling in daily basis, we require same of hotels supporting transit stay for all kind of travellers. 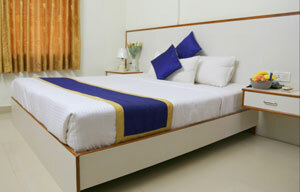 Hotel Airport Gateway provides all kinds of stay for every kind of people. We have transit rooms for people traveling for business purpose, luxury rooms for people looking for stay while exploring bangalore and standard rooms for travellers in need for budget rooms. 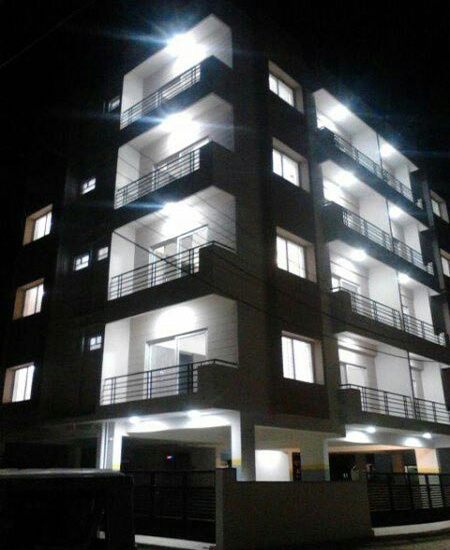 Also we are Service Apartment near bangalore airport with luxurious property, with 30 rooms including both Service apartments and exclusive Hotel rooms. Are you on Transit on Kempegowda International Airport Have you skipped your flight Are you on Crew base requirement Looking for comfortable stay in your budget Looking for Hotels near Kempegowda International airport? Hotel Airport Gateway is the answer to you! Worried about facilities now? We offer 24X7 food, round the clock housekeeping, Free Wi-Fi, 247 airport pick and drop, complimentary Breakfast, 247 hot water tub, we are ready to cater you right at your call. Airport Gateway provides fully furnished rooms, with attached dining hall, high speed internet with coffee shop, wide LED flat TV, kettle provided for any time eat coffee pot, private bathrooms for every room. Round the clock Travel Desk, Air Ticket and Foreign currency Exchange. Hotel Airport Gateway is a Budget Hotel near Bangalore Airport, Devanahalli (Nearest Town Bangalore Airport) that offers the best hospitality at competitive rates. This luxury hotel also features convenient business amenities like high-speed Internet access, a well-equipped business centre and secretarial services. 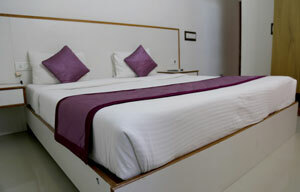 Hotel suits the needs of business revelers, family travellers and leisure travellers as the hotel offers easy access to major shopping and tourist destinations of Bangalore and our service apartments is close to Engineering colleges like MVIT COLLEGE (Technology Institute),SHRI VENKTESHWARA COLLEGE, REVA INSTITUTE OF TECHNOLOGY. 1. How far is your Hotel from Bangalore International Airport? We are located just 4 km from Kempegowda International airport, 25 km from Nandi Hills and 4.5km from Yelahanka railway station. 2. What’s your Check-In & Check-Out Timing? We offer 24 hours check-in and check-out timings. However, we are flexible with our timings. As a general rule, you can check-in from 14:00 on the day of arrival and must check-out at 12:00 (noon) on the day of departure. 3. Is your reception open 24 hours? Yes, we offer reception services 24 hours to ensure that the guests do not face any problems at any hours during their stay. 4. Do you offer free internet connection to your guests? Being in an internet era, the internet serves the key to most of our requirements. Yes, a wireless internet connection is available throughout the hotel. We also ensure that the guest rooms feature hi-speed web connectivity. 5. Can I rent a car at the hotel or nearby? 6. Do you provide pick and drop service from Kempegowda International Airport? Yes, we provide pick and drop service from Kempegowda International Airport if requested by the guests. 7. Is there any complimentary meal offered by your hotel? We provide a complimentary meal to every customer on demand as per their requirement with 24 hours stay. 8. Do you have a travel desk? Yes, you can stop by at our reception and ask for places to visit in and around Bangalore. 9. Do you offer parking services? Airport Gateway has a huge area allotted for parking which has a space to accommodate guests vehicle. 10. How much does parking cost? The car park costs are included in the room rates. 11. Do you have the Foreign Currency Exchange facility? Yes, we do help the guests with Foreign Currency Exchange as we know how crucial a role it plays. 12. I am planning for a long-term stay, can I book the service apartments? Yes, we have service apartments near Bangalore airport with 30 luxurious rooms including both Service apartments and exclusive Hotel rooms. 13. Is room service available? If so, at what times? Room service is available from 7.00 AM to 9.00 PM. 14. Do you have smoking and non-smoking rooms? 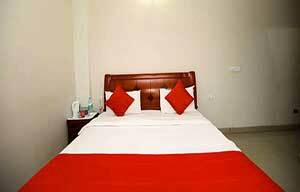 You can choose smoking or non-smoking rooms as per your preferences. 15. Do I need to book the room in advance? It’s better to book the rooms in advance to avoid the last minute disappointment. We sometimes have last-minute availability, but in general, the earlier you book, the lower the room rate. 4.2 out of 5 based on 1602 reviews.